Each quarterfinal series ended in a 3-0 sweep. Despite the lopsided outcomes, there were still several thrilling contests and unpredictable finishes. 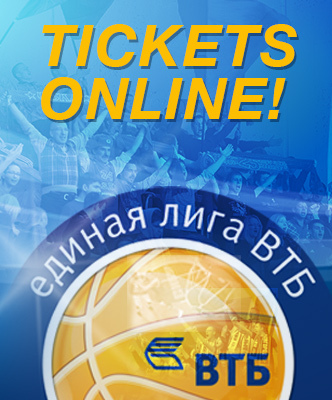 The most competitive matchup featured Zenit and Avtodor, the three and six seeds in the playoffs, respectively. Each game in the series was extremely close after three quarters, but, in the end, St. Petersburg was always able to pull away and secure the win. Game after game, Zenit found a new X-factor in the closing minutes. 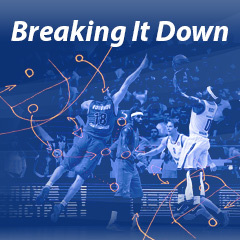 Konstantin Kucher highlights those keys to St. Petersburg's success for Breaking It Down. Game 1 in St. Petersburg went down to the final minute, proving the most competitive of the three meetings. Both teams played open, attacking basketball, with little regard for defense. Not surprisingly, the game was decided on a miss. The turning point came with 37 seconds remaining in the contest. Saratov trailed by two points and hoped to even the score. After using a pair of screens, power forward Travis Peterson found himself guarded by Zenit small forward Omar Thomas. The visitors tried to capitalize on the size advantage and gave the ball to Peterson. The American forward had a few different choices on offense. He could have tried to beat Thomas on the dribble or back him down under the basket. Instead, Peterson took a difficult shot which failed to drop. Zenit's ensuing possession effectively decided the outcome. St. Petersburg had a few hiccups, but ended up getting the ball to Ryan Toolson. 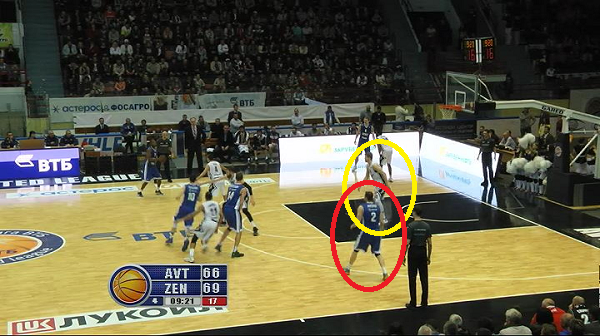 Unfortunately for Avtodor, Jeremy Chappell was not very aggressive on defense. As a result, Toolson had a brief, open look at the basket and knocked down the shot. Those would be the game's final points. Janis Timma was the star in Game 2. The Latvian forward scored 35, setting a new league playoff record in both points and rebounds (15). He saved his best for last, dominating the decisive 4th quarter. The Latvian opened the period by knocking down a tough 3-pointer. It got easier from there as Timma scored most of his points on layups. Avtodor played passively on defense, allowing the young forward to get into the paint at will. Timma finished the period with 15 points, making a huge impact on the final outcome. Avtodor's inability to counter a red-hot Timma doomed the visitors' hopes of stealing Game 2 and tying up the series. 3-pointers played a decisive role in Game 3. 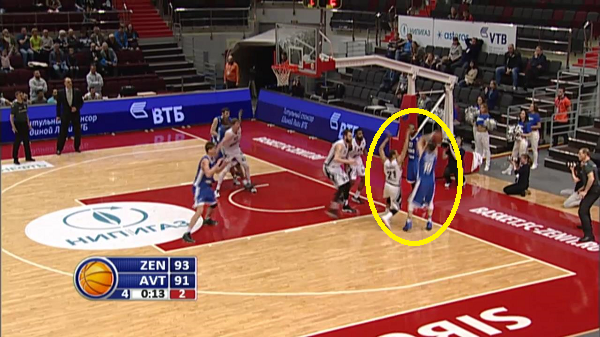 Saratov couldn't hit a shot down the stretch, while Zenit was red-hot from beyond the arc. Pavel Antipov turned out to be Vasily Karasev's wild card. Three 3-pointers from Antipov late in the 3rd quarter and early in the 4th allowed Zenit to pull away. His first 3-pointer involved a bit of luck. 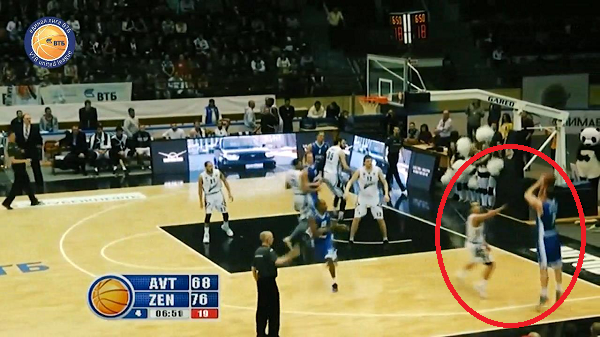 With time running out, Antipov knocked down a shot from halfcourt. Avtodor's defense took the blame for the next two 3's. In the first instance, St. Petersburg struck when Peterson drifted a bit too far away from Antipov on defense. Pavel's third 3-pointer came early in a possession. Trying to hustle back on defense, Saratov failed to match up, leaving Antipov wide open in the corner. Paul Stoll couldn't defend the shot in the time and Antipov converted. In response, Saratov tried to improve its perimeter defense, but the visitors responded by driving the basket and feeding the ball inside to Anton Pushkov. 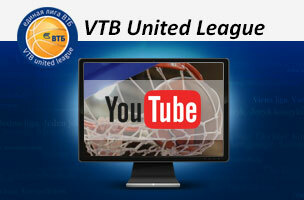 Vasily Karasev's club played outstanding basketball throughout the Avtodor series. St. Petersburg responded quickly to Saratov's adjustments and found ways to develop a winning strategy. 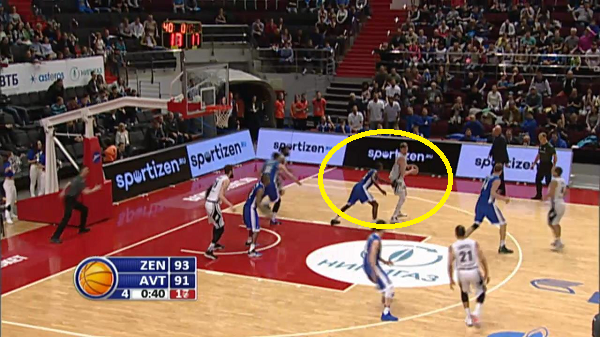 Zenit knocked down shots from outside, drove the basket and got the ball inside to the big men with equal success. Given the way Ryan Toolson and Janis Timma are playing, Zenit looks like a very dangerous opponent for UNICS in the second round.